Change is constant in life. These famous words by Heraclitus have never been truer, as everything in life changes. 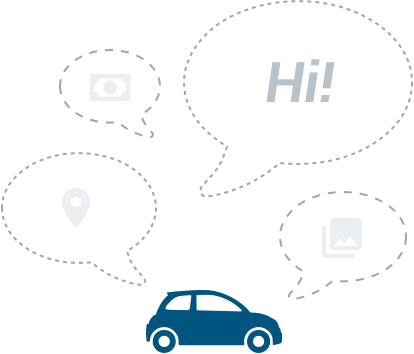 The same can also be said for the automotive industry as a whole, which has witnessed changes over the century that motor vehicles have existed. Even for a company as big as Mercedes-Benz, they had to change the way people perceived their models, as they realized that the target market was ageing as time went by. This brings us to the fourth-generation Mercedes-Benz A-Class.  Mercedes-Benz, in their pursuit of exploring the compact car segment, announced their interest in a car that would be smaller than the C-Class in 1994, in an effort to target younger buyers. Three years later in 1997, Mercedes-Benz showcased the first-ever A-Class at the Frankfurt Motor Show. 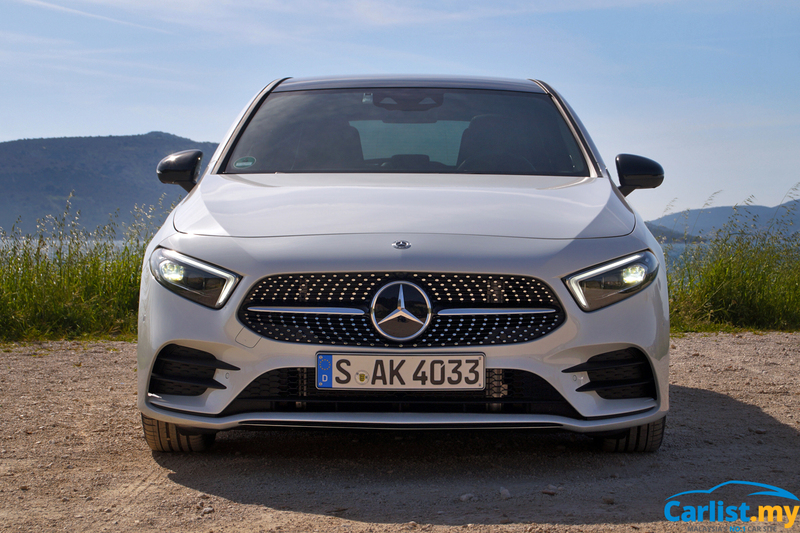 The subsequent generation of the A-Class was an evolutionary update to the quirky little hatchback, with styling tweaks to improve the appeal of the entry-level Mercedes-Benz. In 2012, the third generation model was unveiled, bringing with it a completely revamped design. Out went the funky, tall hatchback, the A-Class became a more palatable five-door hatchback with a sleek-designed exterior. Needless to say, the third generation model went on to be a sales success, as the Stuttgart-based firm managed to entice an entirely new crowd to the three-pointed star marque. The then-new hatchback also spawned an entire range of models, including a sedan, SUV, and shooting brake (wagon). Come 2018, Mercedes-Benz brought out the fourth-generation model, which will be the focus of our story. Now, as it stands, Mercedes-Benz already had a sales success with the previous generation model and the new model has certain expectations to live up to. No pressure, really. 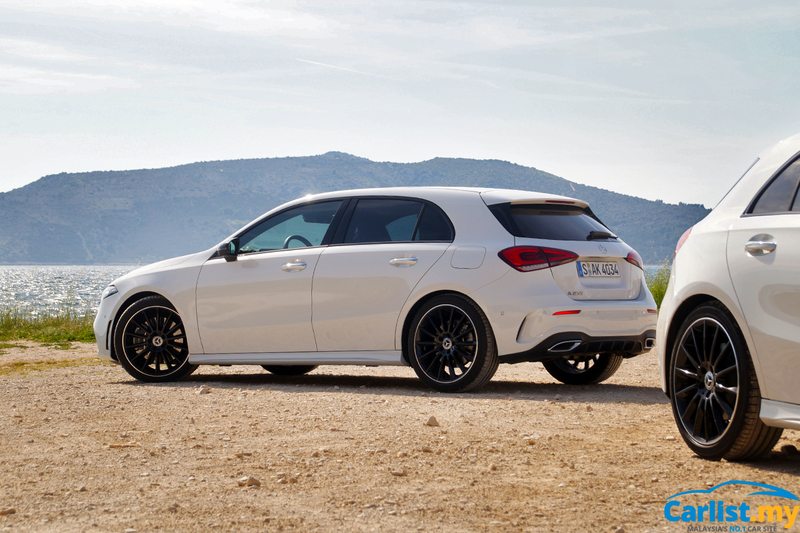 As for the rear end, Mercedes-Benz redesigned the tail end of the new generation A-Class, now with a pair of sharper-looking tail lights and a more aggressive rear bumper. Selected variants of the new A-Class will receive an integrated rear diffuser too. Redesigned exterior aside, the biggest surprise is when one steps into the cabin. You see, while the predecessor featured a sporty exterior design, the interior was a bit of a mismatch, but that has been corrected with the new A-Class. Up front, our test cars were fitted with the dual 10.25-inch displays, allowing for an immersive experience. The displays can be customized to show various bits of information, be it navigation, music, or vehicles status. 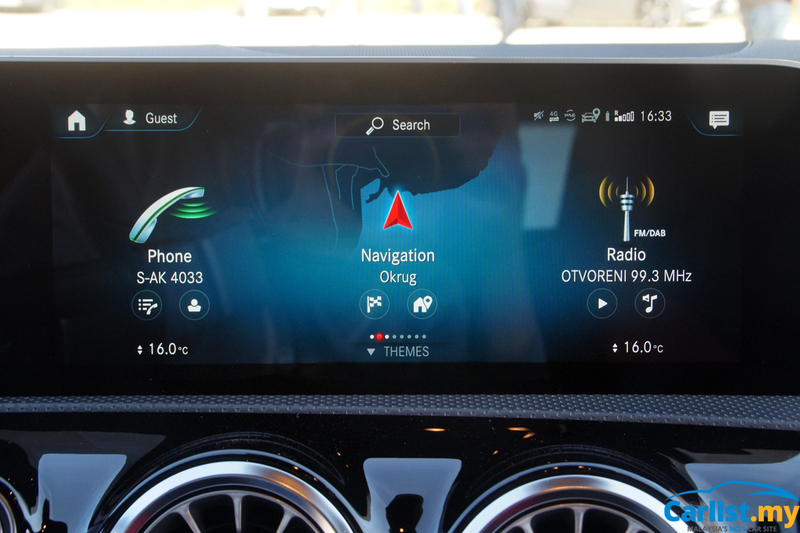 To navigate within the infotainment system’s menu, one can either use the touch-sensitive pads on the steering wheel or via the new touchpad that’s located on the centre console. In order to connect your device to the infotainment system, you can either use Bluetooth or the USB port, which are of the USB Type-C flavour. All four USB ports found in the new A-Class are of the USB-C flavour, so make sure you have the right cables on hand. 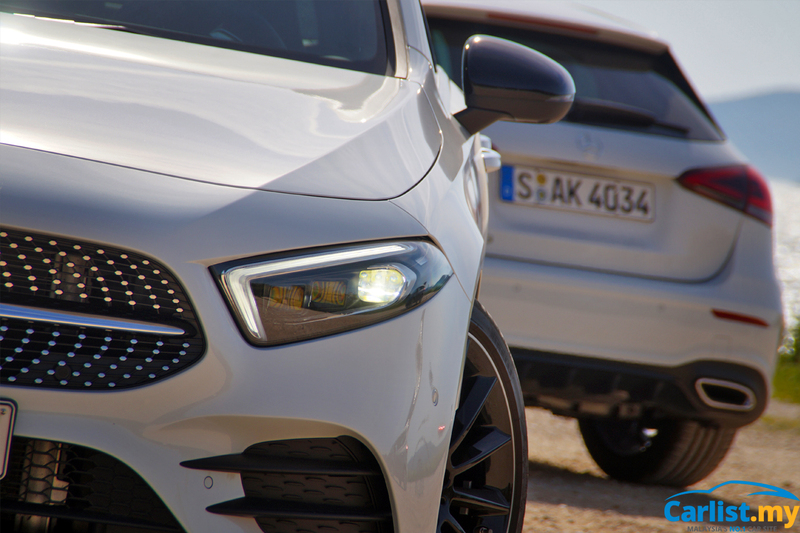 Compared to the preceding model, we noticed that Mercedes-Benz has thrown in far more expensive materials when building the new A-Class, as most touchpoints have decent amount of soft touch material. Even the air vents up front look and feel properly expensive, and with the ambient lighting activated, it makes for a great cabin to be in. The test car we sampled was the A200, powered by a relatively small 1.3-litre engine that was co-developed with Renault. While the cubic capacity may be less than the older model’s 1.6-litre unit, power output has been increased by 11%, now delivering 163 hp at 5,500 rpm, while the peak torque of 250 Nm is readily available from 1,620 rpm till 4,000 rpm. The new engine, codenamed M282, is the first four-cylinder engine from Mercedes-Benz to feature cylinder deactivation when paired with the 7-speed dual-clutch transmission.  Depending on power requirements and load range between 1,250 rpm till 3,800 rpm, the intake and exhaust valves of the second and third cylinders are closed by valve clearance adjustment. Don’t let the engine capacity fool you, as the A200 is quite a capable little machine during our time in Split, Croatia. We particularly enjoyed the generous amount of torque, though we did notice that it tapers off after the 5,000 rpm mark. Some turbo lag can be felt below the 2,000 rpm mark, but revs do build up quick enough to mask that. The 7-speed DCT also did a fine job of cog swapping, offering quick and smooth gearshifts. The A200 was also fitted with steering-mounted paddle shifters for those wanting to exercise some control over the gears. But power figures aside, how does the new A-Class ride, you may ask? Well, truth be told, the cars we tried were fitted with adaptive shocks and features rear multilink suspension, which may not be representative of how the cars will behave here. The recently-introduced A-Class in Malaysia features a simpler torsion beam set up for the A200, while the pricier A250 gets the multilink configuration. With the shocks set to Comfort mode, ride was decent enough. Granted, larger road imperfections could jolt your backbone quite nastily, but it does cope with smaller bumps rather well. On the flip side, the new A-Class does tackle corners with ease, offering great confidence with little body roll and generous amount of grip. 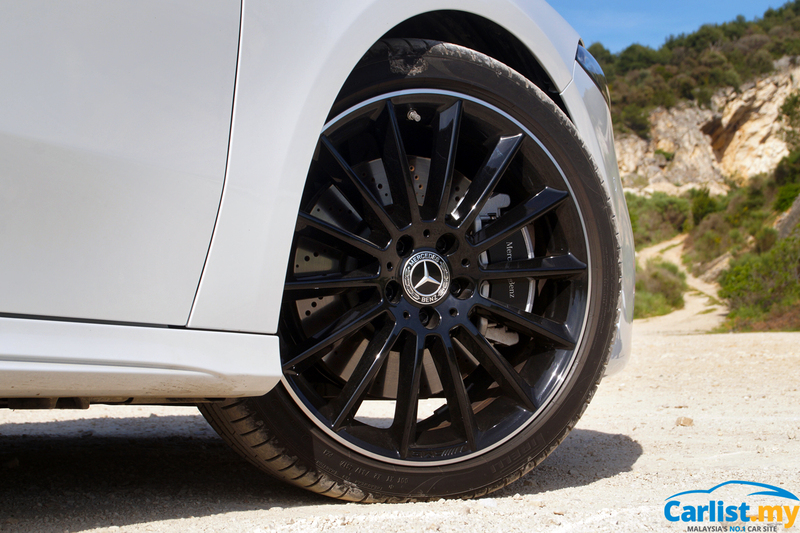 Despite it’s great cornering capabilities, the steering of the new A-Class left us wanting more. While the weightage and accuracy were sufficient for us, the steering felt rather wanting in the feedback department, as it left us wondering where the front wheels were pointing at any given time. But as a whole, the improved rear comfort and improved interior certainly does make up for some of its shortcomings. 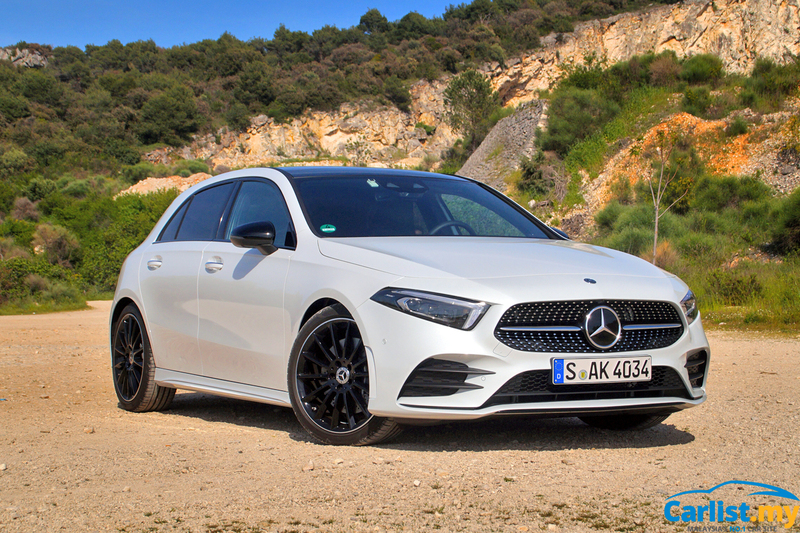 Besides, another party piece is MBUX, a seismic shift for the company in terms of infotainment, putting the A-Class right ahead of the pack as no other current rival can boast such a feature. As what Heraclitus said, change is constant, and with the all-new generation A-Class, the most important change we're witnessing is the revolutionary MBUX infotainment system, a great evolutionary leap from those of the past and a strong base to build upon for the future. We will give the all-new A-Class a local shakedown and a more detailed assessment will follow.